We welcome our English speaking patiens to the holistic dental care of Dr. Carolin Christian, Dentist and Naturopath. Personal reminders for bi yearly checkup and professional cleaning. Our clinic in Ostend Frankfurt works with a flexible scheduling system. That means you will normaly not have any waiting time. For your comfort we therefore request that you schedule each appointment either via telephone, message or in person. Please call us immediately in the event of any emergency dental pain or problem. We will fit you into our daily schedule as best as possible. In case of off-hour emergencies our answering machine will provide all necessary emergency phone numbers. Our holistic and patient- focused care takes into consideration not only your oral health, but also your overall well-being. Imagine a dental experience that’s relaxing, compassionate, and aimed towards the most effective, yet natural and holistic results. Our highly trained staff is dedicated to not just fixing an existing problem, but to truly healing, maintaining and restoring your natural health - ensuring a beautiful and healthy smile that lasts a lifetime. It is our goal to focus on the long-term preservation of your teeth, your health, and your natural beauty. Our holistic approach helps ensures that your beautiful smile is truly restored inside and out. Did you know that your teeth actually provide information about your overall being, your physique, and even your habits. It is often found that an unhealthy tooth can be the reason for other bodily ailments. For example, a patient with unexplained knee pain has experienced pain reduction, yet full recovery, after treatment of a devital tooth. With our unique training and knowledge of holistic medicine we offer solutions that contribute not only to the maintenance of healthy teeth and gums, but also your entire body. Of course we understand that one of your first and foremost reasons for a dental visit is to ensure a beautiful smile. While providing the most state of the art care and technology, we use a selection of materials that are chosen for their natural and well tolerated qualities. This ensures a dental therapy that’s both effective and non invasive so that you enjoy coming to the dentist and truly begin to respect your teeth as central to your overall health. Finally, we equip you with the tools and the knowledge to personally maintain your optimal oral health, thereby preventing future ailments and helping you achieve your best natural health. A holistic dental approach means that, in contrast to a pure school medicine treatment, we always take into consideration that all things are connected. Your teeth are just one part of your mouth, your mouth is one part of your body. With this in mind, overall oral health and overall wellness go hand in hand. A patient with chronic gum disease- or even just swollen gums- may be subject to ongoing allergies to food, plants, or other substances. Understanding the integrated workings of the body allow Dr. Christian and her team provide therapies that not only heal the immediate oral disease, but that help achieve the improved health of your entire body. Patient involvement for achieving long term oral health. In holistic dentistry treating the origin of the ailment and restoring it to its natural state is first and foremost in our dedication to making you look and feel beautiful. That means our inherent beauty and radiance is directly related to our physical and mental constitution. This knowledge and understanding of our bodies as a whole is an important prerequisite and primary concern for practitioners aiming to achieve optimal and holistic health. Beyond any acut or chronic oral related problems, we value your desire to look your best. Therefore we strive to support your natural beauty and attractiveness via natural means. Our gentle and non invasive care helps ensure that your treatment is not only as soothing as possible, but that the results are natural. It is our belief that the body is designed to heal itself. However sometimes more intense ailments need our assistance. Attaining your natural state of health is the best possible means to ensuring long term success. A crooked tooth, swollen gums or false bite has an effect on the individuals smile, as well as color of their teeth and even the overall expression of their face. For examples swollen gums will naturally cast shadow over the tooth, creating a darker shade of enamel. Toxins and free radicals curse an unhealthy discoloring of the teeth, like with a flu the persons skin does not look as vibrant. A non holistic approach may suggest immediate bleaching to whiten the overall smile. Therefore healing the diseased gums will be premier to achieving a state of natural beauty that stems from true optimal health. Healthy gums will result in a fresher smile and may improve the overall tooth color. Our treatments are designed to be as non invasive as possible and to use therapies and materials that are in line with the bodies natural healing process. We know that a visit to the dentist is often dreaded. We choose therapies that work with your natural system and do not overwhelm the body. Our treatments are aimed at conserving and restoring individual health. Using the most modern dental technology in combination with our unique holistic training we provide treatments that are patient focused and geared towards long term prevention and preservation of the patients overall health. If you fear going to the dentist, you are not alone. Between 9% and 20% of people avoid going to the dentist because of dental anxiety or fear. Indeed, it is a universal phenomenon. The key to coping with dental anxiety is to discuss your fears with us. Once we know what your fears are, we will be better able to work with you to determine the best ways to make you less anxious and more comfortable. You can feel safe. We have a lot of expirience, empathy and special alternative methods to help you relax and mentally prepared for what's to come. If the filling matches the natural form of the original tooth it retains the natural form of the mouth and the natural function of the tooth when chewing, talking or producing saliva is retained. This process proves the idea of form follows function. So it is with your oral aesthetics. If something is healthy and well functioning, it's form and outer appearance is likewise better. All our treatments are designed with an empathetic to take away any tension, fear and reduce discomfort to a minimum. The use of alternative medicine offers additional options for pain relief and relaxation so that a dental appointment can also be (beside it's hard to believe) a pleasant experience. With our informative and open staff you will have a clear understanding of any given treatment, to help put you at ease. Finally the harmonious atmosphere of our clinic offers a calm and soothing environment. Periodontical treatments- free of pain and discomfort through ultrasound and modern surgical technology? Holistic general survey: correlation of teeth, gums, mouth, jaw and the entire body. Homeopathic, herbal and spagyrik, naturopathic remedies. Our favorite for effective maintenance of oral health is SOLO- Prophylaxis, SOLO- Care and SOLO-Therapy. Latest research findings reveal that the majority of irreparable dental disease stems from bacteria hiding in the interdental spaces, as this gabs between the teeth are not reached by normal means of brushing. The importance of healthy gum maintenance led to the development of SOLO -Dental care. Using only once a day, a small round brush perfectly cleans each individual tooth and gum area. This effective tool combats periodontitis and cavities with much more success than using standard forms of hand- or electrical brushes. Our SOLO- Therapy trained staff will show you how to use and make the best of the SOLO- Prophylactics in your daily oral routine. Beyond our initiative to achieve your optimal oral health, we are dedicated to helping YOU, help yourself. As much as we care for your teeth, we can’t come home with you every day to make you brush! Yet we know that daily routine and care is fundamental to true long standing oral health. That’s why part of our service is geared towards equipping you with the best knowledge, information and tools to make your daily care and maintenance routine easy, effective and with seen results. A healthy tooth in a healthy body. True beauty begins on the inside. In our clinics harmonious atmosphere you can receive your youth inducing acupuncture This long standing method is based on the knowledge that physical appearance is the result of optimal energy supply, the flow of chi in its interior. Dr. Alexis Carrel was awarded the 1912 Nobel Prize for the discovery that the cell is practically immortal; if always supplied the right amount of energy it can continue to survive. 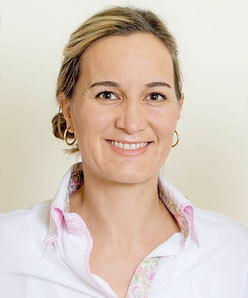 Dr. Carolin Christian has been working as a professional dentist since 1996. Contrary to the traditional path of commercialized medicine, Carolin developed her own way to ensure the recovery and healing of her patients. 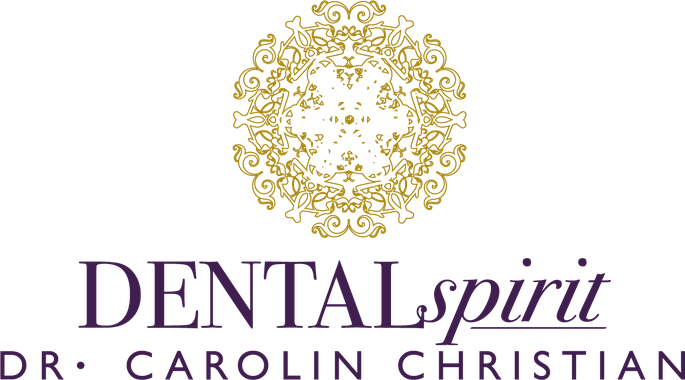 Dr. Carolin Christian opened her own private practice with a focus on holistic dental healing. Caroline added her new treatments surrounding „natural beauty“.